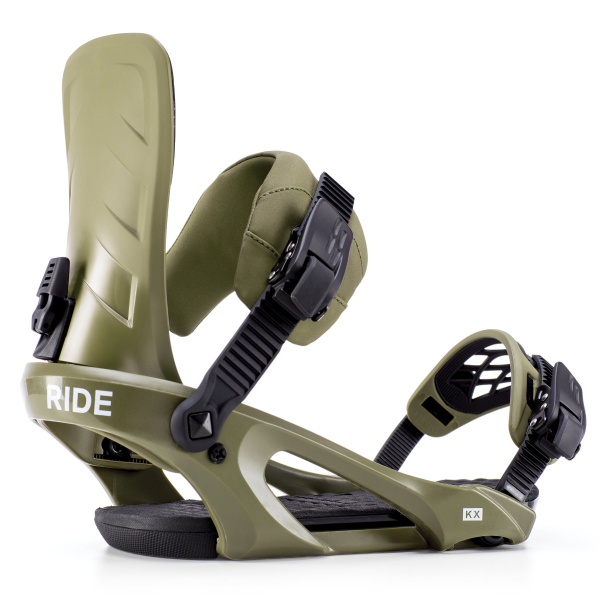 Some bindings are all about rear-entry, but there will be no backdoor shenanigans where the KX binding is concerned. Let us slip you a little bit of information about what makes the KX effortlessly accept your foot, regardless of size. The KX combines the Spectrum™ Chassis System, ThinGrip™ Plus Toe Straps, and AstroGlyde™ OG Ratchets for a secure, responsive fit. The Slimeback™ is not too stiff for the park, not too soft to provide hard-charging response, but just right for all-mountain riding. Also, sometimes having plastic driving into the backside of your legs can be uncomfortable. One of the many reasons we provide our Slimeback™ highback for a mellow flex and fluid support. The KX is an ideal binding for beginner to intermediate riders looking for a binding that will allow for freestyle progression.